Bambora has developed a free payment module for WooCommerce, making it easy to accept payment cards in your online store. 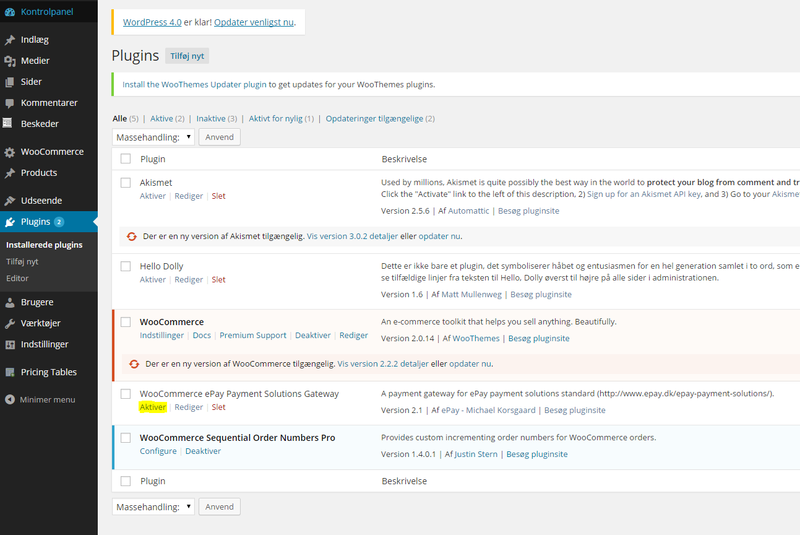 WooCommerce is a free shop plugin for WordPress. You need to install WooCommerce before installing the Bambora module. It’s easy to install and use Bambora's module. Download the module, and follow 3 simple steps to accept card payments in your online shop. This module is developed for WooCommerce which is a shop extension for WordPress. You need to install this extension before installing Bambora's payment module. To try the module you need a test account with Bambora. It’s free and it only takes a few minutes to set up a test account. After registration you’ll get a test merchant number which is used to test the module. Please state that you want a test account in the comment field in step 2. You can disregard all listed prices. Whenever you feel ready to go live and accept real payments, we’ll upgrade your test account to a production account. This way you don’t have to start from scratch and create a new account. NB: Please make a backup of your website before beginning installation! Download the Bambora module, and unzip the file. You can do this with a FTP client. Go to your WordPress administration on http://yoururl/wp-admin, and log in. Click on Plugins in the menu on the left, find the Bambora module, and press ‘Activate’ (please see image1 ). 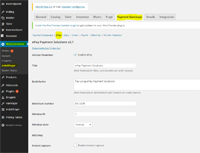 Choose WooCommerce in the left menu, and press Settings (see image 2). 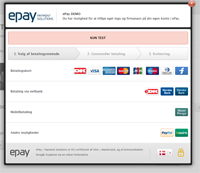 Click on Payment Gateways, and press 'EPay' in the overview at the top. 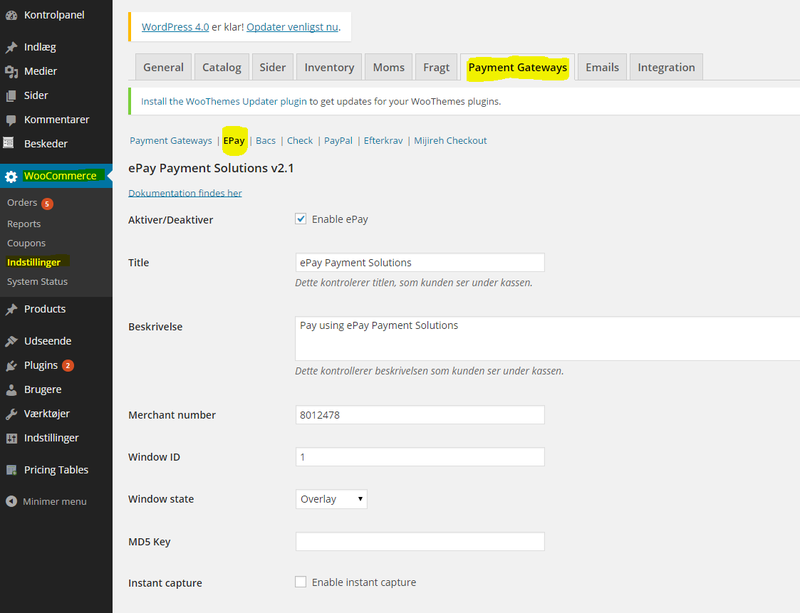 Check the box Enable ePay, and press ‘Save changes’ at the bottom of the page. Enter the merchant number you received from ePay in the field “Merchant number”. Press ‘Save changes’ at the bottom of the page. It’s important to register the domain from which you’re testing on your Bambora administration in Settings > Payment system. If the domain is not registered correctly, Bambora cannot open the payment window and show it to the customer. Complete a purchase in your store. Fill in your information, and choose Bambora as your payment method. Press ‘Place order’, and the payment window will open. Below you’ll find an example of Bambora's payment window. You can add your own logo and company information at the top of the window. To do this, go to Settings -> Payment window in your Bambora administration. The customers choose from the payment methods activated on your Bambora account. 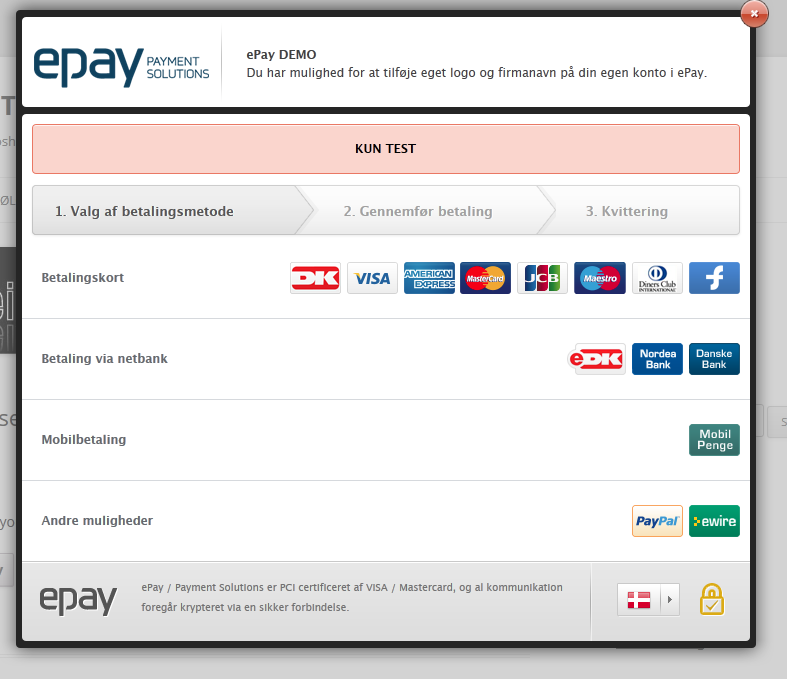 When the payment is completed, the customer is sent to an order confirmation page (see image 4). ... that the use of the payment modules is at your own risk. We offer a free test account which you can use for testing the module. We develop and maintain our own payment modules, and the modules are tested on a standard installation of the system in question. You are responsible for making the module cooperate with your website or system. Always make a backup of your website before beginning installation.